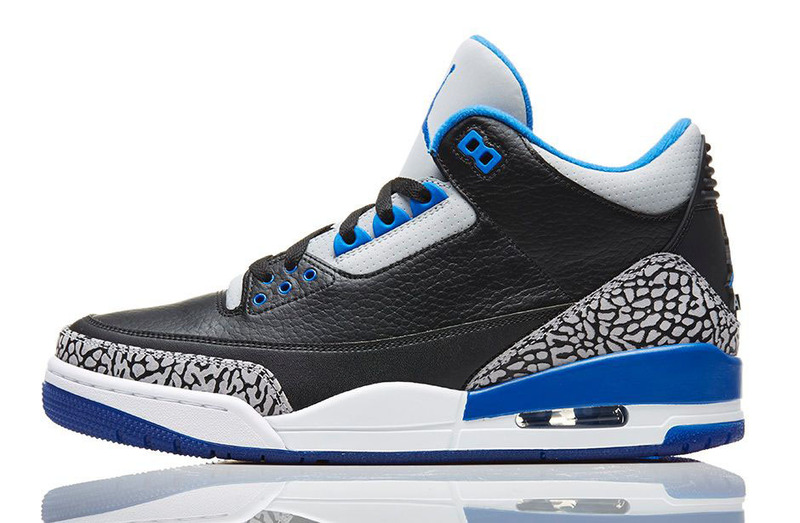 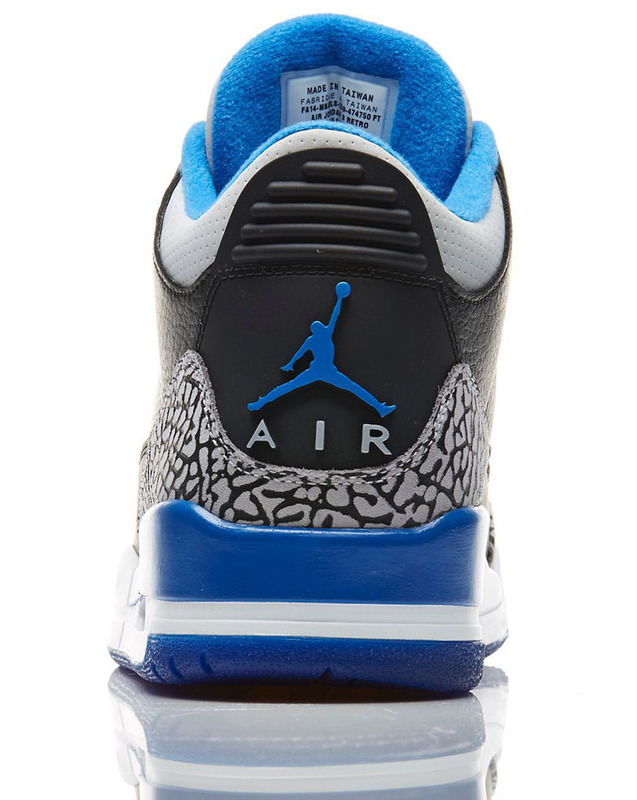 Adding a new twist to a classic, Jordan Brand drops the ‘Sport Blue’ Air Jordan 3 next Saturday. 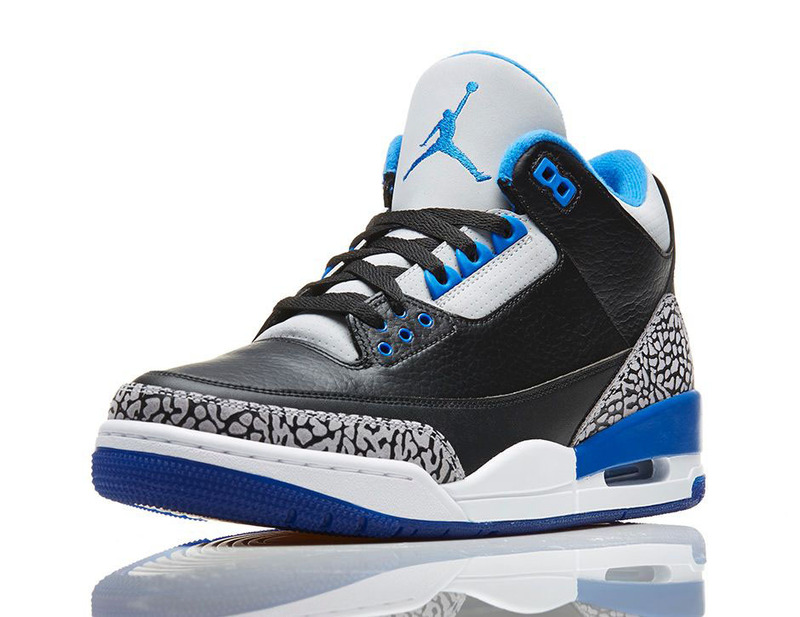 Original elements from the ‘Black Cement’ colorway are enhanced with hits of the blue hue on the Jumpman logo, midsole, eyelets and translucent outsole. 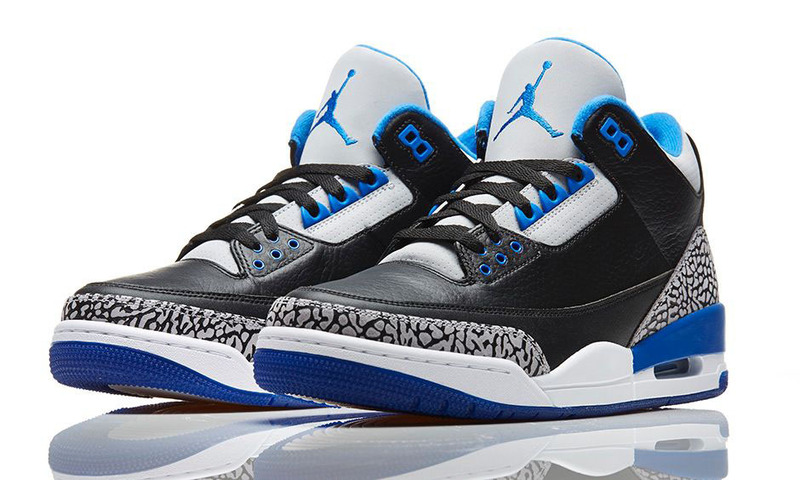 The ‘Sport Blue’ 3 drops Saturday, August 16 for $170 at nike.com and other Jordan retailers.